SO FINE! #50 spools try me special. 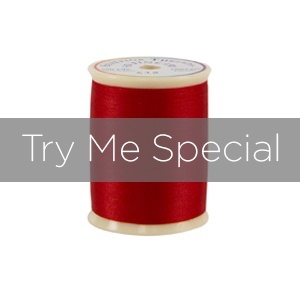 Superior Threads > Try Me Specials > SO FINE! #50 spools try me special. #50/3 filament polyester lint-free extra smooth & ideal for quilting general sewing clothing construction and serger.